What will be next for health care in the United States? While there have been some successes associated with the Affordable Care Act ("ACA") such as health insurance coverage available for some Americans that had previously not had such access and increased emphasis on core quality standards such as avoidance of hospital acquired infections1, there are more critics than proponents. Arguments regarding the propriety of, for example, uncapped increases in annual insurance premiums or individual components of ACA such as the efficacy of for-profit auditors of the Medicare Integrity Program that cannot be attacked and are compensated on a cost plus basis with percentage kickback bonuses despite losing over 50 percent of rejected claims could fill volumes. And, ACA appears to have delivered health care to American poor while making health care access financially impossible for the middle class. What cannot be disputed is that ACA and its regulatory progeny have not been able to reduce the extraordinary economic pressures on the American health care system. The 2016 Trustees Report of the Medicare Program confirm, among other statistics, that the Medicare hospital trust fund (the core of Medicare) has been operating at a deficit since 2008 and will be completely spent by 2028. The hospital trust funds meet neither short nor long term criteria for viability. The health care crisis has not been cured. It has, for now, been delayed, magnified and complicated. Emphasis on Patient Choice and Financial Independence. As a physician, Representative Price supports patient choice for providers and patient independence in financial matters. Accordingly, Price supports expanded use of and funding for Health Savings Accounts, patient/taxpayer options to accept tax credits for independent financial planning and to make Medicare itself an optional choice. State Block Grants. Price prefers the dilution of federal control over health care and suggests, as an alternative, grants to individual states for the purpose of developing state-specific risk insurance pools for high-risk individuals and reinsurance. Relaxation of Antitrust Rules to Permit Interstate Insurance Competition. Consistent with the goal of permitting the consumer to exercise his/her own options, Representative Price suggests that antitrust laws should be relaxed to permit small employers to negotiate collectively with insurers and encourages the elimination of state barriers to insurance so that consumers may have the greatest flexibility in negotiating for insurance rates. 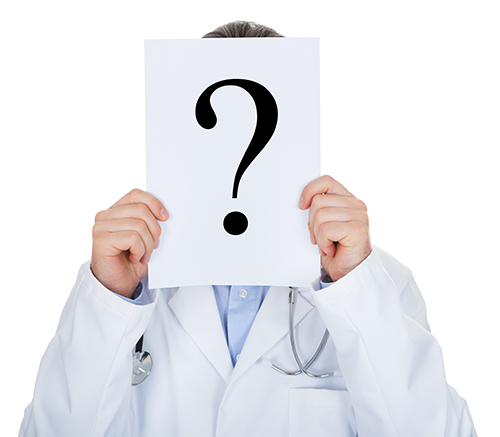 Restrictions on Malpractice Claims. As part of an overall program to reduce health care costs, Price has suggested significant changes to malpractice claims. For example, he has proposed pre-trial Administrative Health Care Tribunals for each state compelling potential plaintiffs to complete extensive pre-trial reviews before claims may be asserted and even changes to the burden of proof for litigants depending on whether care was provided according to nationally-approved clinical guidelines developed by physician panels. In addition, Price has outlined new legislation to forbid lump-sum payments to plaintiffs. All of these concepts should be anticipated from a Trump Administration. In addition, a number of current ACA components should be anticipated to continue. For example, tax assessments for 2017 should be anticipated for taxes already due and owing under the current ACA and its regulations. It is unlikely that earned but not yet collected tax revenues will be forgiven as part of any new iteration of ACA or any other federal health care law. Likewise, continued enforcement activity by the Office of Inspector General (OIG) should be taken as a given as the federal government continues, as the OIG reported earlier this year, to recoup $7 for every $1 in enforcement expenditures. As President-elect Trump might observe, "That's just good business." Under the new Trump Administration with Representative Price at the helm of HHS, rapid and significant changes in ACA should be anticipated. A review of H.R. 2300 introduced unsuccessfully by Representative Price would be appropriate reading for all health care providers as the likelihood of successful implementation by Secretary Price is high. 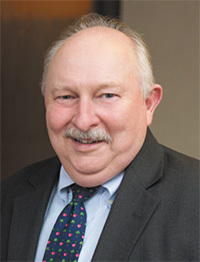 Philip M. Sprinkle II is Chairman of the Firm's Health Care Practice Group and is based in the Firm's Atlanta office.